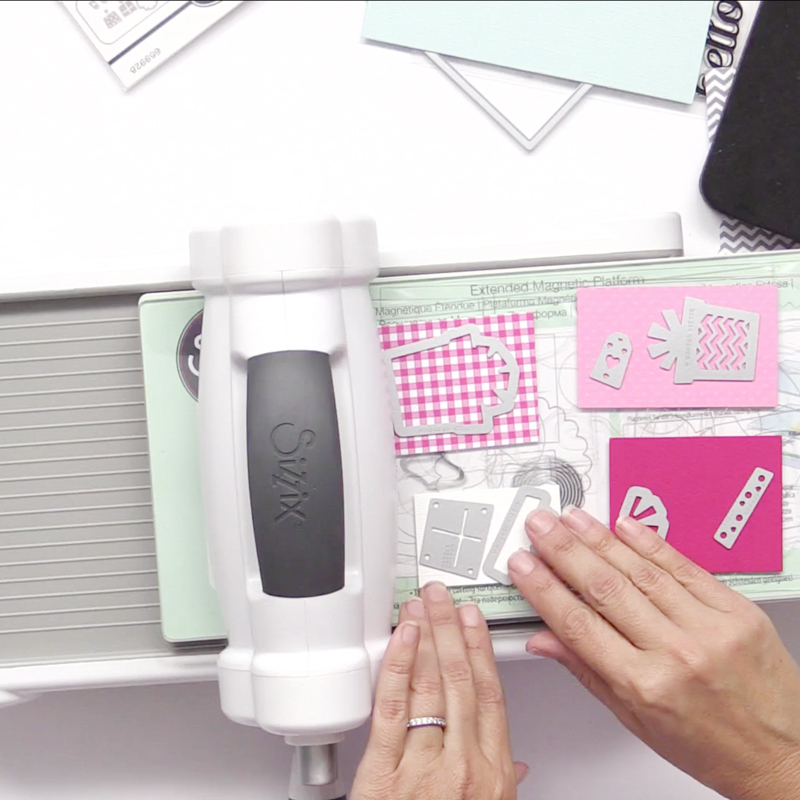 Make and customize your own creations quickly and easily with the Sizzix Big Shot Plus machine and Sizzix Dies. Create one-of-a-kind cards, invitations, scrapbook pages & elements, home décor items, fashion accessories, altered art projects, quilts, and so much more! Size: 15 3/4" x 11 3/4" x 7 1/2"
NOTE: To see how the Big Shot Plus compares with other top-selling die cutting machines, use our handy Die Cut Machine Comparison Chart. 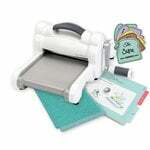 Big Shot Plus Details: This machine is everything that Sizzix fans love about its smaller sibling the Big Shot – plus the versatility to use 8 1/2" x 11" materials! 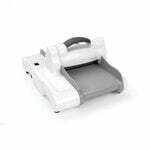 The beautiful white and gray Big Shot Plus Die Cutting Machine is stylish and versatile and it works with the entire Sizzix product library (with the exception of Bigz Pro dies). A bright white and gray color scheme gives the Sizzix Big Shot Plus a fresh and modern feel while looking great in any décor. With solid core steel rollers and solid steel gears, the Big Shot Plus is as tough as it is stylish! With its 9” wide cutting path, you can use the Big Shot Plus with everything from large 9"-wide plastic-backed dies to the smallest thin metal dies. For more efficient cutting, use the Big Shot Plus’s large cutting area to cut multiple smaller dies in a single cutting pass! And of course the Big Shot Plus will also emboss, score and crease as well (accessories may be required for these tasks). 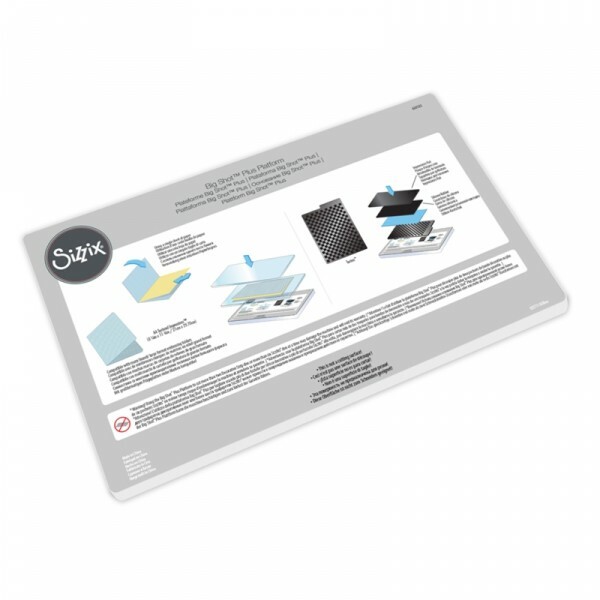 Use this machine with thousands of thin metal dies (such as Sizzix Thinlit and Sizzix Framelit) and steel rule Sizzix dies, as well as a huge selection of Sizzix embossing folders. The Sizzix Big Shot Plus cuts and embosses many different materials, such as paper, vellum, fabric, chipboard, and cork to make your creative vision a reality. The Big Shot Plus Machine and accessories will also work with other brands' dies and embossing tools, including being able to take letter sheet sized embossing folders available from several brands, so this machine opens up a world of possibilities! In order to ensure compatibility, make sure to check machine and accessory requirements. The diagrams on the included Big Shot Plus Platform offer easy guidelines about how to make the perfect Sizzix sandwich, or you can refer to the Sizzix Sandwich Booklet for reference. This product includes the Big Shot Plus machine, a pair of Big Shot Plus Standard Cutting Pads, and one Big Shot Plus Platform with adaptors A & B. The Big Shot Plus Machine measures approximately 15 3/4" x 11 3/4" x 7 1/2" and features a three-year limited warranty. 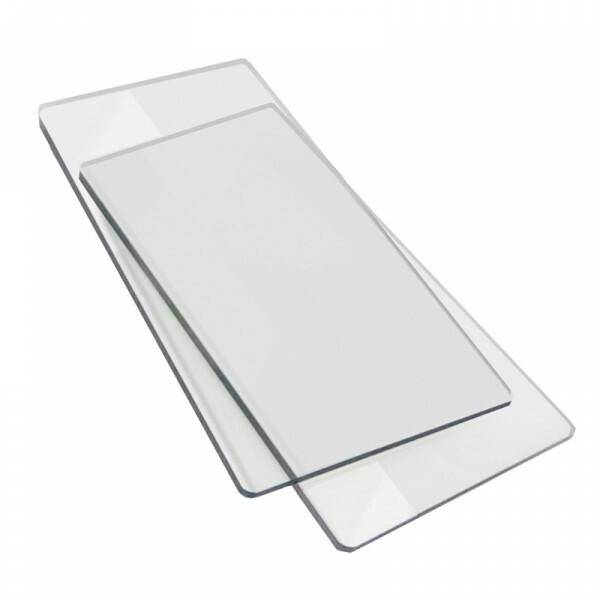 Compatible Accessories: Big Shot Plus Premium Crease Pad, Magnetic Platform, Extended Magnetic Platform, Precision Base Plate for Wafer Thin Dies, Texturz Silicone Rubber, Texturz Impressions Pad, And much more. View all Sizzix accessories here. How to Use the Big Shot Plus: To use the Sizzix Big Shot Plus with a steel rule die, place the die between a pair of cutting pads with the paper face down over the part of the die design you would like to cut. If needed, use washi or masking tape to secure the paper in place to get perfect placement of your paper. Set the die and pad “sandwich” on the cutting path of the Big Shot Plus machine, and turn the crank to move it through the machine. To use the Sizzix Big Shot Plus machine with a thin metal die, you'll need to use the included Big Shot Plus Platform with adaptor A (or the Sizzix Magnetic Platform) as well as a set of cutting pads, also included. To create your die cutting “sandwich”, begin by placing the platform on the bottom with the adapter on top of it. Next, place the first cutting pad on top of the stack. Then place your paper right side up on top of the cutting pad. Place the thin metal die on top of the paper, with the cutting edge down (in contact with the paper). Finish the sandwich by placing the second cutting pad on top. Set the die and Sizzix pads “sandwich” on the cutting path of the Big Shot Plus machine, and turn the crank to move it through the machine. For easy reference of how to assemble “sandwiches” with these cutting pads for other types of dies and Sizzix accessories, use the Sizzix Sandwich Booklet. 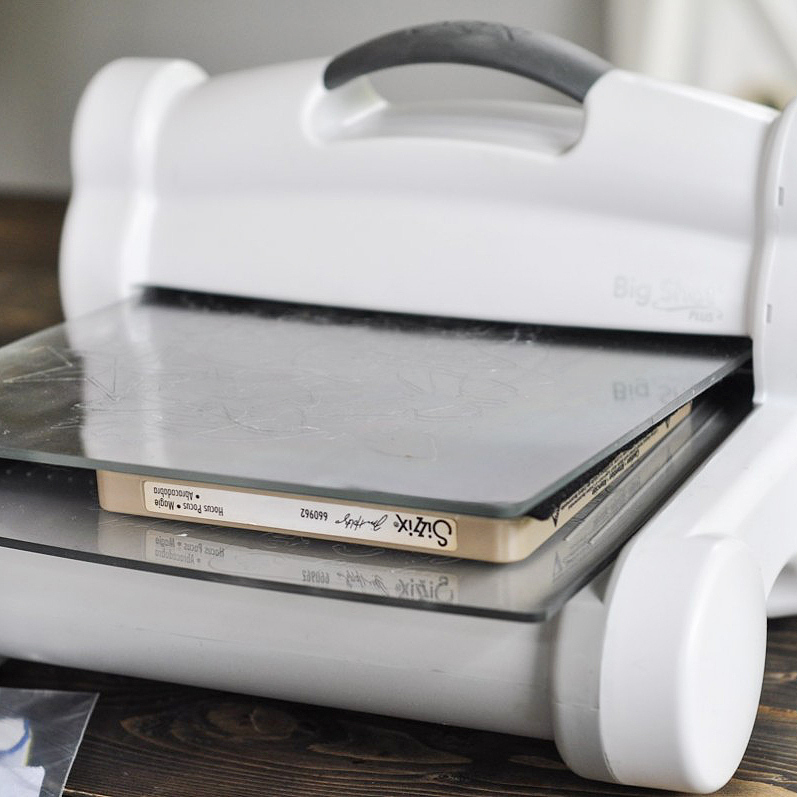 TIP: The Sizzix Big Shot Plus machine’s polycarbonate plastic cutting pads can make loud creaking, cracking and snapping noises while being cranked through the machine that can sound alarming. Do not panic if your machine makes these noises while cutting! 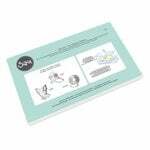 This is a normal part of machine operation and the Sizzix pads and machine are designed to withstand the pressures of cutting. For more instructions, tips and tricks on using the Sizzix Big Shot Plus machine, view our videos below, read/ask questions or browse the ratings and reviews below too. I have been using the Big Shot for a long time now. But as soon as I recently heard that Sizzix is going to make quite a few products for this machine, I just had to buy it! They've already released some items recently. And their stunning!!! I compared prices and Scrapbook.com has the best prices out there on this machine. One thing I have noticed compared to the regular Big Shot, is that it really seems to give more pressure. It just seems to cut better. idk why. And the size of the machine is perfect for your regular 8.5 x 11 inch card stock. No doubt this is my now go to machine for cutting. Its amazing once you get it home, how small the big shot is compared to it. I only wish I bought it sooner. There is a lot of crafts I couldn't make due to the small size of the Big Shot. But thats okay. I will use my small machine for cutting flowers etc. I Love my new machine very much, Thank You Scrapbook.com! Love the Huge Cutting Surface! The big selling point for me was the great big cutting platform which means I don't have to cut down a piece of paper to fit through like the Big Shot. It also means I can cut multiple dies at one time-great time saver! And I really like that the large platform isn't hinged like the multi-surface platform for the Big Shot. I'm also glad that it ISN'T magnetic! Cranks smoothly, and because of the additional weight, there isn't as much need to hold the machine in place while you crank. Over-all, I'm loving it! Wow, even better than expected! I have had a Big Shot for at least a couple years and love it but I wanted a machine that could use the wider dies and also have a bigger footprint where I could make multiple cuts. I expected the Big Shot Plus to weigh more, but it feels lighter, or at least it isn't any heavier than the regular Big Shot, so I am very pleased with that. I am also happy the wider footprint has created the unit to be more stable so I don't have to hold the top handle and can use my free hand to guide the plates in so there is no side to side wobble like I sometimes get with the Big Shot. I also love the platform where I don't fold it to the tab number I need but instead use the independent pieces to create my sandwich. This allows me to use the BS Plus in a smaller area! The regular BS platform when folded out takes up an additional 12 inches and that is a huge problem when I am attending crops where space is premium. Big Shot Plus-Even more awesome than I imagined! Although I already own an electronic cutter, I wanted to have the option of embossing as well. I ordered the 'Plus' as I didn't want to be limited on the size of the embossing folders or paper than an 'emboss only' machine would, and I am so glad I did! The results are exquisite and very detailed and more prominent than I had expected. I have not tried the die-cutting aspect, but based on the results of the embossing I have done, I have no doubt it will perform top-notch! If you're reading this, you've been pondering and putting off buying one...JUST DO IT! HIT THAT ORDER NOW BUTTON! I am so happy with the Big Shot Plus machine. Being able to use the larger dies and/or being able to cut several smaller dies at once due to the larger cutting space makes projects move along at a much faster pace. It comes with the clearly marked sandwich board, cutting pads and instructional pamphlet. The cuts are crisp and easy to pop out of the dies. I have the smaller Big Shot and the Pro just adds so much more to all you can do whether you are using paper, cardboard, or fabric. A great value! I really have not used my new Big Shot Plus much, but took it out of the box, set it up and tried an intricate die and it worked like a charm--no hesitation and the die glided through very smoothly. I am looking forward to having fun with my new die-cutting machine! It is heavy enough that it does not slide around as some of the other machines do. It stays in place and seems to cut effortlessly! I am very happy with my purchase! The price on Scrapbook.com was the best I could find! I am over the moon about this new, larger Big Shot. It is as awesome as my smaller, original, but allows me to get into bigger dies which I have been wanting to do for the longest time. 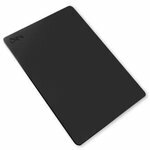 I would highly recommend it, and this site, for the great price and very quick shipping. The machine arrived in stellar condition. Love the larger "work" area! Also like that the noise of the "speed bump" that you would get with the Big Shot ,........when you run the "sandwich" through.....is not as loud. A good tip is......when you do have your "sandwich" formed....just tilt the "sandwich" a tad either way....then run it through......and you don't get the noise at all!!!!! This machine can cut various sized dies such as Sizzix original, bigZ, sizzlets, thin dies, etc., You can also use it with embossing folders. I own four other Sizzix machines, but this one is the best because now I can do everything with one machine. The 9" opening allows me to fit letter sized paper through the machine. I'm giving this NEW TOY 5 Stars because when I received it I was pleasantly surprised. It is sturdy and well built. Haven't started using this yet, but, I'm sure once I begin, I will be hooked. Trying to gather all the materials I will be using and can't forget to mention all the informative videos I've been watching. This is my first time I have ever used a die machine. So, I am excited and a little cautious at the same time. AND, so many dies out there! The video shows the plus size platform and plus size cutting pads, but the description says it comes with standard cutting pads. Are the pads sized to match the machine as in the video or are they the same size as those that come with the smaller Big Shot? By: User (28-Apr-15) Helpful Question? Yes | No Thank you! Report Inappropriate This question has been reported. Thank you! Update: My machine arrived today and it comes withe the plus size cutting pads. It's a beautiful sight! My machine was shipped out to me today with an expected delivery date of May 5. As soon as it arrives, I will come back with an answer... I promise! I would be very surprised and upset if it came with the small pads... Keeping my fingers crossed. By: ALifeOfScrap (01-May-15) Helpful Answer? Yes | No Thank you! Report Inappropriate This Answer has been reported. Thank you! I am also waiting for mine, it is suppose to be here tomorrow. That is something I will definitely check out. I will let you know. By: Pvandersloot (04-May-15) Helpful Answer? Yes | No Thank you! Report Inappropriate This Answer has been reported. Thank you! to have a list of the specific cans and cannots for the Plus machine. By: Jcrisci (30-Jul-15) Helpful Question? Yes | No Thank you! Report Inappropriate This question has been reported. Thank you! If you already own a BigShot - you can use any of those plates on the BigShot Plus You can use the same dies, the Movers and Shapers, etc. As far as I know right now, any of the products that Sizzix makes can be use with the BigShot Plus. At this time I feel the plus gives you more surface area for cutting and you can use wider sheets of paper. I'm not sure what you mean by a specific list of cans and cannot for the plus. Here is my answer for that: you can use all the dies with the plus that you would use for the regular BigShot. I haven't come across any 'can nots' yet! By: SCRAPHAPPYGRANDMA (31-Jul-15) Helpful Answer? Yes | No Thank you! Report Inappropriate This Answer has been reported. Thank you! From what I've read about it, the only dies that can NOT be used by the B.S. 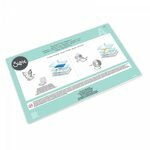 Plus is the Bigz PRO dies (Big Shot PRO)..the only difference between the Big Shot & the Big Shot Plus, is the size of workspace- You can use ALL of the Sizzix dies, embossing folders, etc.- EXCEPT FOR BIGZ PRO DIES! By: alyssenicole (13-Oct-15) Helpful Answer? Yes | No Thank you! Report Inappropriate This Answer has been reported. Thank you! I'm confused. It states machine only, however, the platforms are included in the description. Does it or does it not come with the platforms? If not, what are you supposed to use for cutting? By: Sandiwatson (28-Apr-15) Helpful Question? Yes | No Thank you! Report Inappropriate This question has been reported. Thank you! Hi, Me again. I just recieved my BigShot Plus and the plates are included and they measure 9" x 15"!! Included 1 base platform. 1 A and 1 B adapter plate, (these are no longer attached to the platform) and 2 clear cutting plates and all are 9" x 15" By: Tenaciousdae (01-May-15) Helpful Answer? Yes | No Thank you! Report Inappropriate This Answer has been reported. Thank you! Hi! I think this is stated as machine only because Sizzix runs a lot of promotions that include dies and or embossing folders. This purchase is for the machine and the platforms listed in the description. By: Tenaciousdae (29-Apr-15) Helpful Answer? Yes | No Thank you! Report Inappropriate This Answer has been reported. Thank you! When are the platform and all other accessories going to be available for the plus? Will there be a package that includes the big shot plus machine and the necessary accessories needed to use it? By: nancyv (24-Apr-15) Helpful Question? Yes | No Thank you! Report Inappropriate This question has been reported. Thank you! My machine arrived today and it came with the platform and cutting pads. Everything needed to start using it immediately. By: ALifeOfScrap (05-May-15) Helpful Answer? Yes | No Thank you! Report Inappropriate This Answer has been reported. Thank you! What are the dimensions of the standard cutting pads and adapters A&B are part of this offer.? Thank you :-) By: User (02-Sep-16) Helpful Question? Yes | No Thank you! Report Inappropriate This question has been reported. Thank you! prefer to use the magnetic platform for wafer-thin dies; 6 1/8" x 8 7/8" x 5/8". I do not use adapters., just the cutting pads in the same size. You can also use the larger platform and adapters included with the Sizzix Big Shot Plus Machine but they are to big for the dies I am using. I love this item! Bought one for my mom too! By: tracymichele (04-Sep-16) Helpful Answer? Yes | No Thank you! Report Inappropriate This Answer has been reported. Thank you! Thank you very much , I appreciate your help :-) By: Nena Smith (05-Sep-16) Helpful Answer? Yes | No Thank you! Report Inappropriate This Answer has been reported. Thank you! I am interested in purchasing the "sizzix big shot plus machine only gray and white" product. I read through the q and a section about this, but the responses were from 2015. I was wondering if this offer (great sale price of $139.99) still comes with the plates and other items needed to make it work right out of the box. This is a first purchase with this company, so I don't want to err by reading into an offer that no longer exists. I did leave a voice message with customer service. Thanks for any accurate updates! I see this as a wider platform for larger sheets to die cut with my many thinlet dies. By: ciocidi (28-Mar-16) Helpful Question? Yes | No Thank you! Report Inappropriate This question has been reported. Thank you! I just received mine about a week ago & I love it. It comes with all the plates you need to work right out of the box. 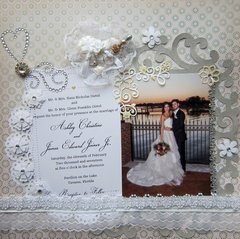 Scrapbook.com is great & they ship really fast. I came in 2 days! I have a cuddlebug but needed something bigger for some of my larger dies and embossing folders. Super easy to run stuff through. I have arthritis and it is no problem. By: MELODY1717 (29-Mar-16) Helpful Answer? Yes | No Thank you! Report Inappropriate This Answer has been reported. Thank you! I am thinking about purchasing the Big Shot Plus Machine. What do I need to purchase additionally in order to be able to emboss? By: sbutkovich (27-Nov-15) Helpful Question? Yes | No Thank you! Report Inappropriate This question has been reported. Thank you! All you need is embossing folders or dies. Everything else is included. I just got mine & I love it. By: MELODY1717 (29-Mar-16) Helpful Answer? Yes | No Thank you! Report Inappropriate This Answer has been reported. Thank you! You should be able to emboss with what you receive with the Machine. By: Amber Boren (27-Nov-15) Helpful Answer? Yes | No Thank you! Report Inappropriate This Answer has been reported. Thank you! Does this machine emboss as well By: Marjorie Fuessel (11-Jul-16) Helpful Question? Yes | No Thank you! Report Inappropriate This question has been reported. Thank you! Yes it does By: jennk713 (12-Jul-16) Helpful Answer? Yes | No Thank you! Report Inappropriate This Answer has been reported. Thank you!